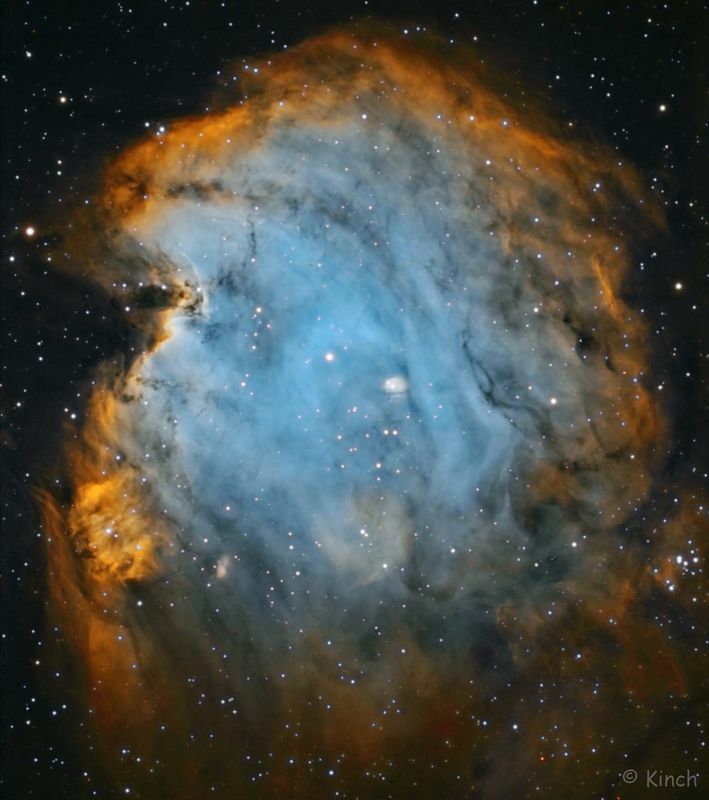 There is some equivocation in the use of the identifiers NGC 2174 and NGC 2175. These may apply to the entire nebula, to its brightest knot, or to the star cluster it includes. 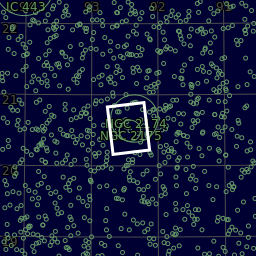 Burnham's Celestial Handbook lists the entire nebula as 2174/2175 and does not mention the star cluster. 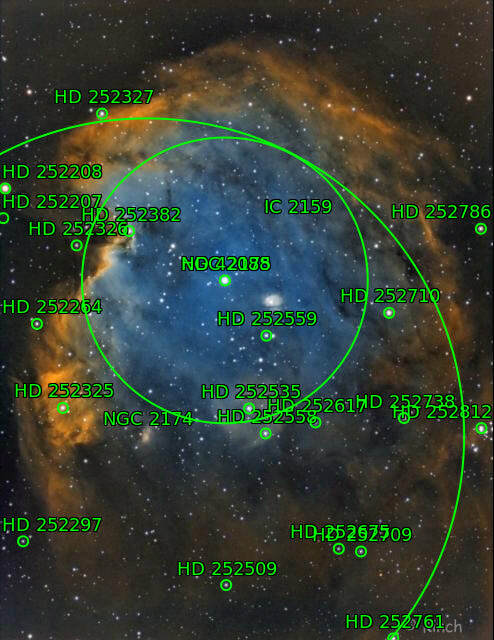 The NGC Project (working from the original descriptive notes) assigns NGC 2174 to the prominent knot at J2000 06h 09m 23.7s, +20° 39′ 34″ and NGC 2175 to the entire nebula, and by extension to the star cluster. 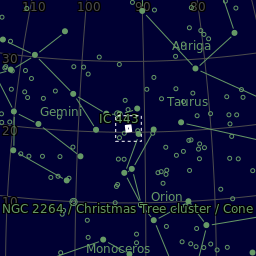 Simbad uses NGC 2174 for the nebula and NGC 2175 for the star cluster. Astrodon 3nm Ha 31 x 1200"
Astrodon 3nm OIII 24 x 1200"
Astrodon 3nm SII 29 x 1200"
Center (Dec, dms):+20° 31' 34.153"